Nothing makes you feel as good as unique, design jewelry. 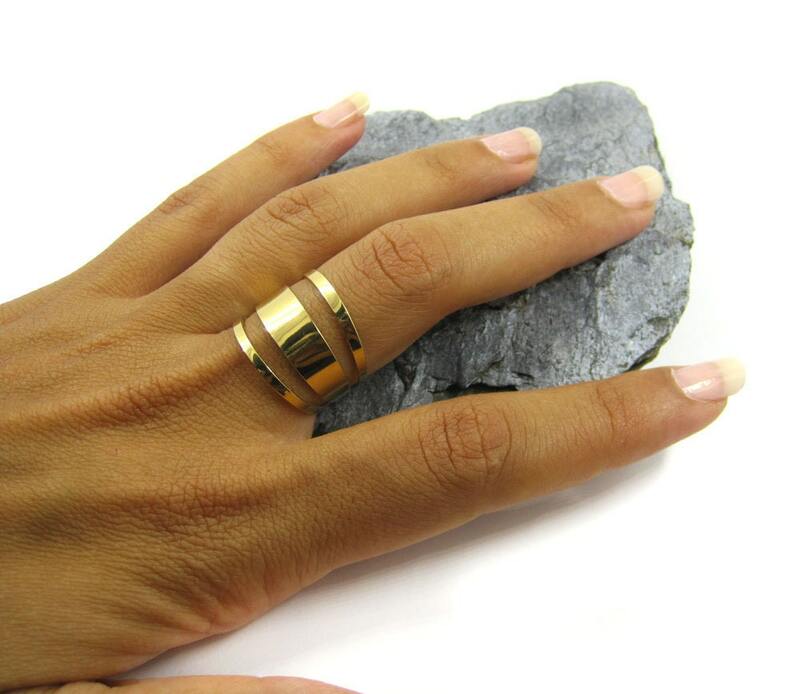 This statement gold plated ring adds an edgy vibe, even to your most casual outfits. Its geometric design has a fresh and current look, that keeps the tradition of high end finish and quality. Elegant, modern jewelry that's bold and still looks great with anything is not easy to find. This is the ring that will become your favorite go-to ring. The one that makes you feel like you wear jewelry that expresses your individuality. * A geometric gold plated adjustable open ring. * Ring width: 1.5 cm / 0.6"
If you wish to have your own version of this design made, I will be happy to make it for you!